The “Steam Valet is a garment steamer accessory tool that makes steaming clothes quick and easy. The “Steam Valet” is retractable for storage at home or easy portability when traveling. 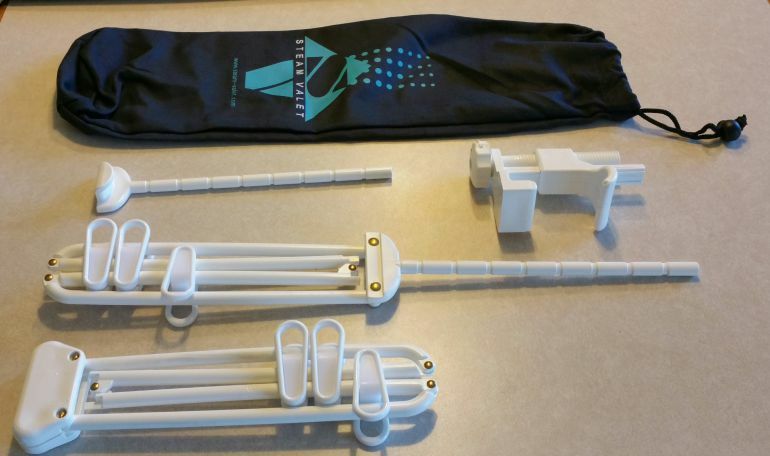 Use “Steam Valet” hanger accessory for steaming all your garments, pillow cases, curtains, etc. Steam Valet Only $34.99 See Bundle Pricing with Hand Held Steamers. 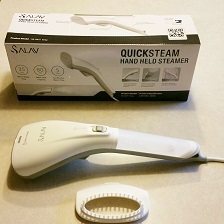 The SALAV TS-01 Travel Handheld Steamer provides powerful steam on the go. Compact, easy to fill and use, the TS-01 provides up to 10 minutes of powerful steam and heats up in a quick 150 seconds. The automatic voltage adjustment feature will adapt to any country’s required voltage making the TS-01 your ultimate travel accessory. * This Bundle A price includes 1 Steam Valet and the 1 SALAV TS-01 Hand Held Steamer. For Bundles A & B, Shipping & Handling rates $10.00 apply for orders inside the U.S.
* This Bundle B price includes 1 Steam Valet and 1 SALAV HS-04 Hand Held Steamer. For Bundles A & B, Shipping & Handling rates $10.00 apply for orders inside the U.S.
To Order these products goto the Order Now Page!